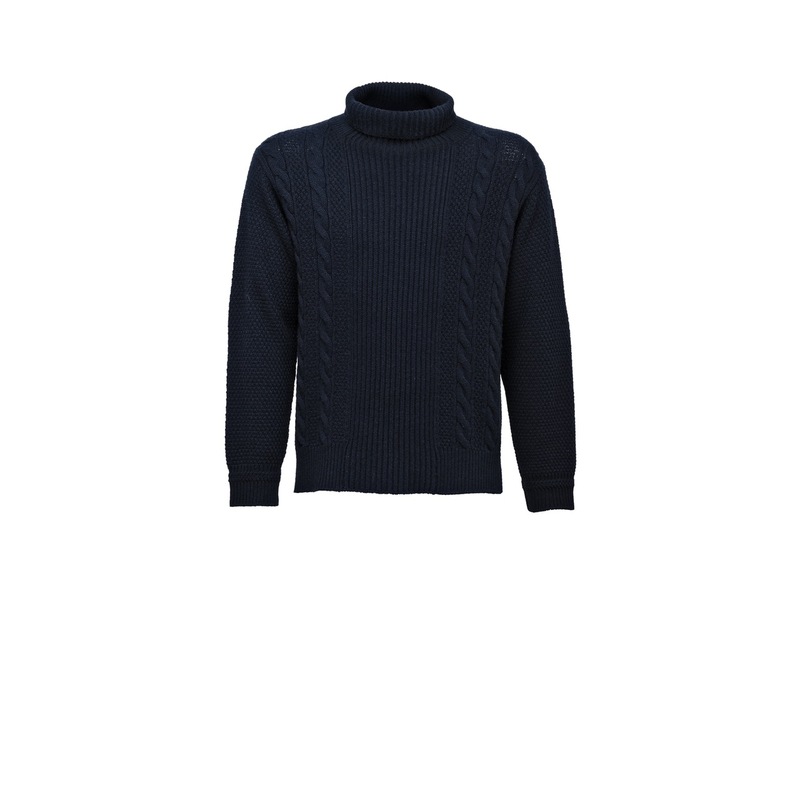 Oversized gauge 5 wool/cashmere turtleneck sweater. 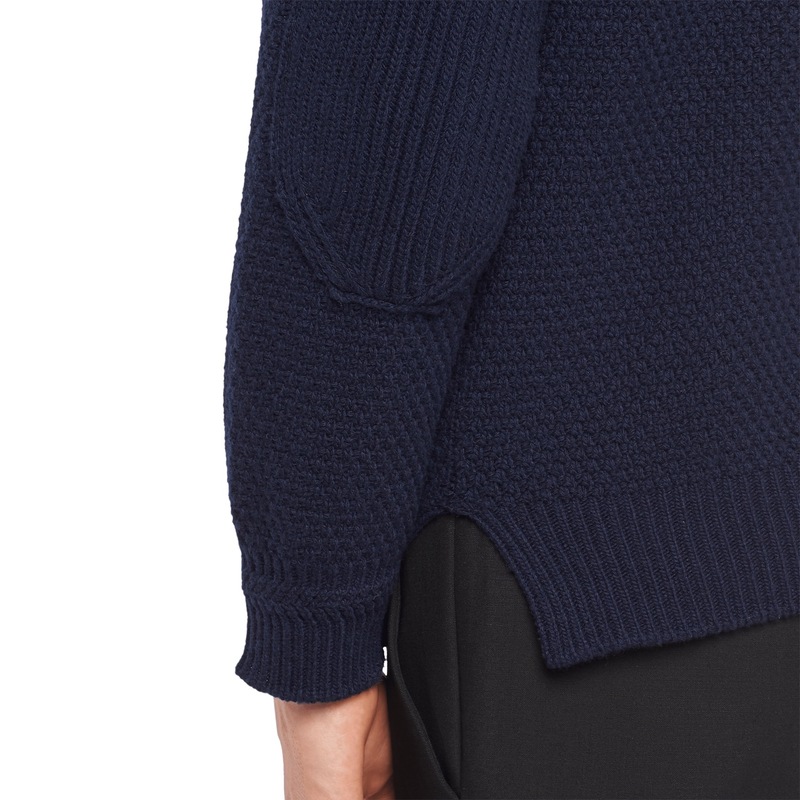 Cable-knit motif alternating with shaker knit, patches on the sleeves, ribbed cuffs and hem. 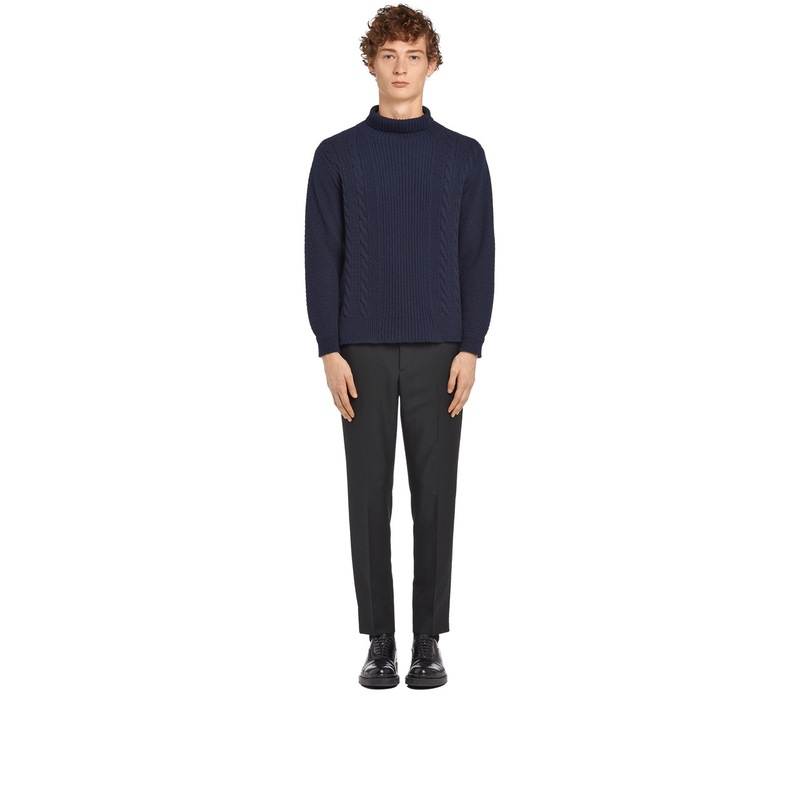 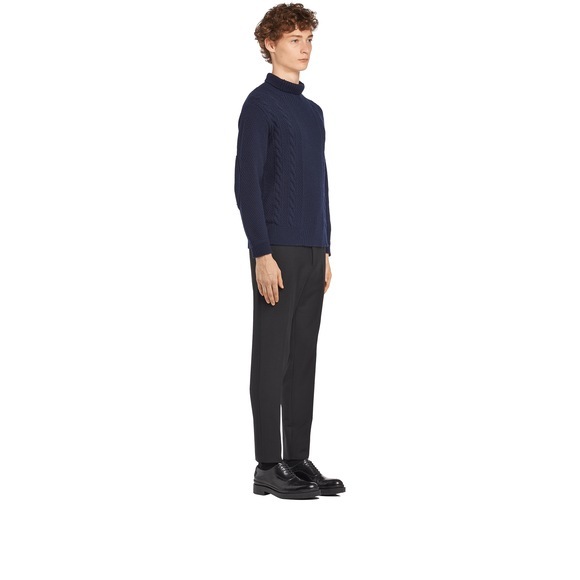 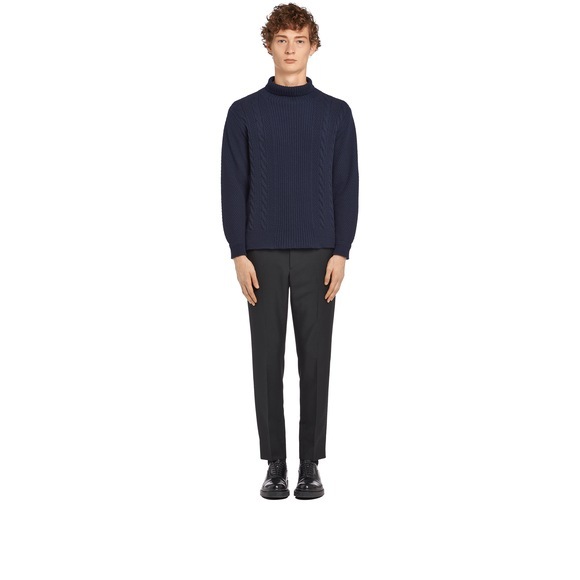 This wool and cashmere turtleneck sweater features ribbing, shaker knit, and cable-stitching.